Most of us have eaten stuffed fish. 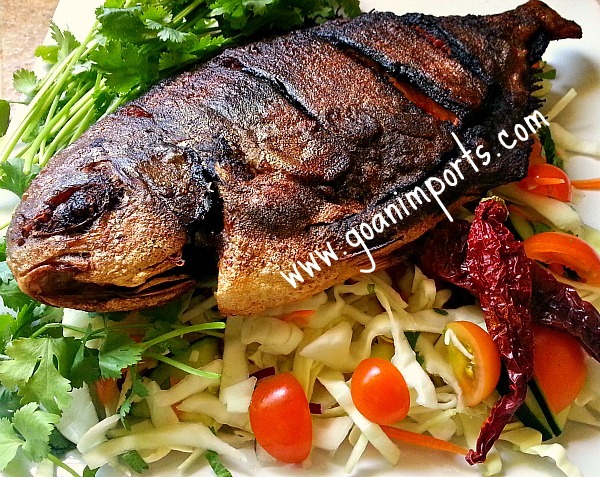 The Goan version is called Recheado which in Portuguese means stuffed and Mackerel or Pomfret fish is used to make this recipe. 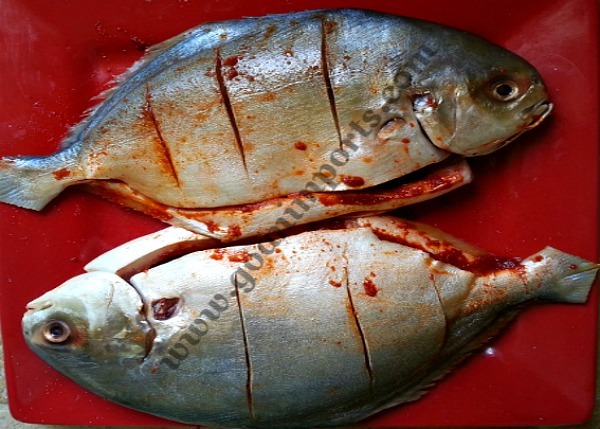 Wash the fish, then butterfly the fish on either side of the bone. You can leave the bone in or take it off. Season the fish with salt inside and out. Mix the sugar and recheado masala together. 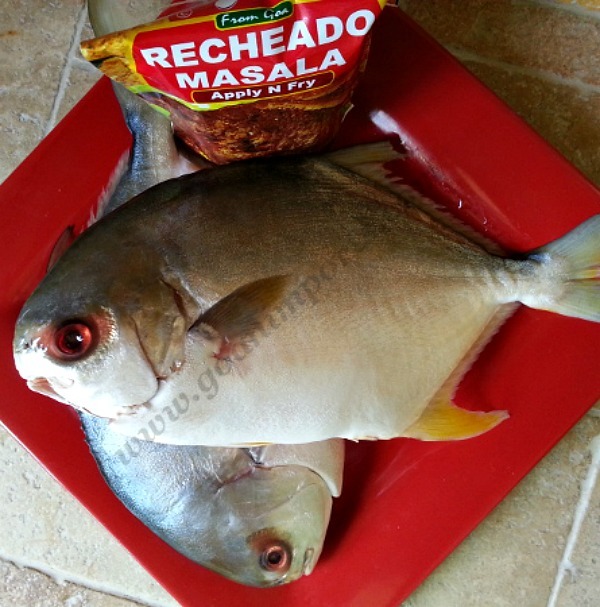 Apply the recheado masala on the inside and let it marinate for 15 to 20 minutes. 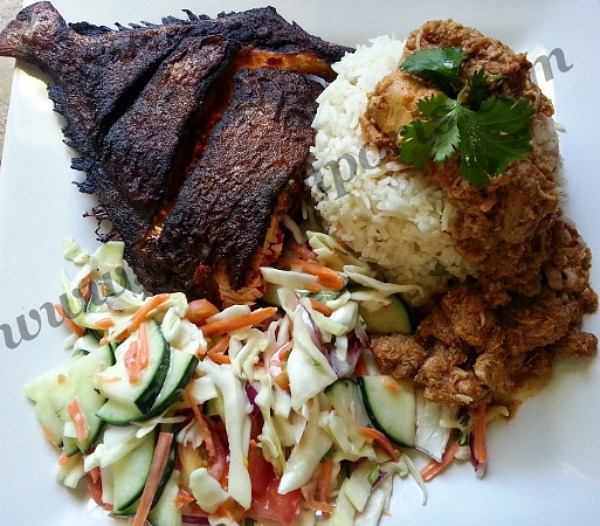 Heat up oil in a non-stick pan and shallow fry the fish on either sides till golden brown. It can me used as a main entrée in a meal along with a side of salad made with any vinaigrette as they go well together. Or you can serve it with rice as a side. And this was a unique plate, love fish, never in my life had I seen a plate like that. Not trying to do that one anytime soon. Lol…. you are funny :-). Have a great weekend Charly. Oh my God! That looks amazing! It just screams warm weather and my name! All in one sentence. And maybe a plane ticket. Thanks Dana 🙂 You are most welcome to sunny LA. Thanks Jayeeta…. I only use these spice mixes as I sell these masala here in the US :-). That’s great……but how do I prepare at home ???? ?